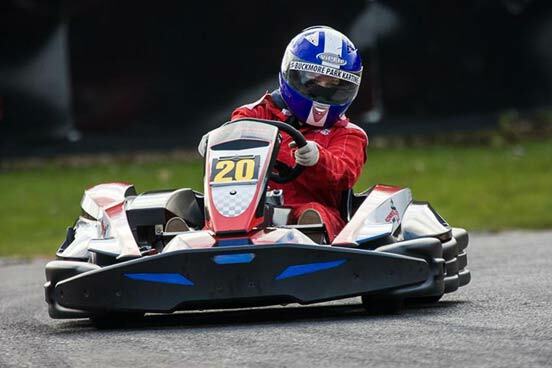 Karting is considered to be the perfect starting point for all those wishing to get into racing and surprisingly, in a quick kart, it is one of the closest things to racing in a Formula 1 car! Perhaps you believe you could be the next British Formula 1 World Champion or recreate the success of Michael Schumacher then what are you waiting for? Get karting and get caught by the racing bug! 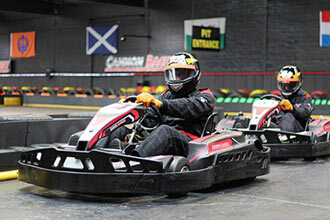 On arriving at the centre you will sign on and get suited up in a helmet and racing overalls. 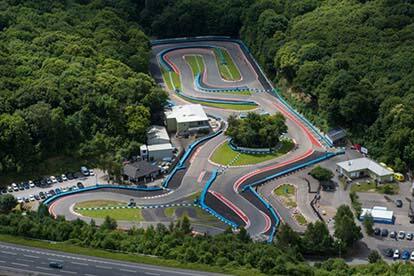 This will be followed by your instructor giving you a safety briefing and some instructions on the kart controls. 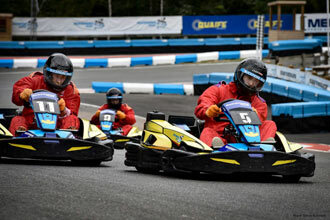 This experience is for teams of two, with a qualifying session followed by a 30-minute race for driver one, then driver two takes part in a 30-minute race. 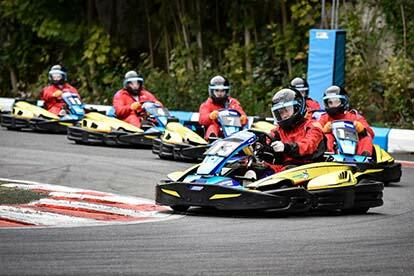 With up to 35 karts on the track who will last the pace and make it to the podium? The experience ends with a presentation of trophies to the three drivers. This experience is available on a Saturday evening once a month, throughout the year. This is quite a physical activity and may not be suitable if you have weak arms, heart complaints etc. The minimum height is (5 ft), the maximum is (6ft 6). The maximum weight is 114kg (18 stone).